Northeast Johnson County residents this week are remembering longtime SM East coach and teacher Glenn Percy, who passed away at his home in Iola, Kan., last Monday. He was 85. Percy was born on a farm outside Carlyle, Kan., the fifth of his parents’ six sons. He joined the Navy in 1948, and played football while stationed in San Diego. After being discharged in 1952, Percy returned to Kansas and played for Independence Junior College. He later transferred to Washburn University, where he was a starter on the football team. After graduating, he began a 48-year career in education that brought him to SM East twice. 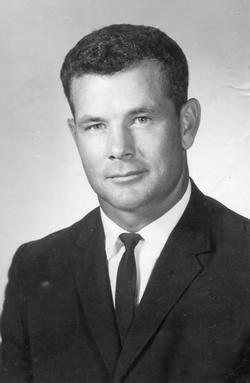 As SM East’s football coach from 1971-1978, he went 39-33 overall. He returned to teach and coach in Prairie Village in 1992, taking the team to a 30-44 overall record through 1999. He is the current leader in both wins and losses among SM East football head coaches. A celebration ceremony is planned at the Allen County Country Club in Iola for Sunday, June 29 at 2:30 p.m.